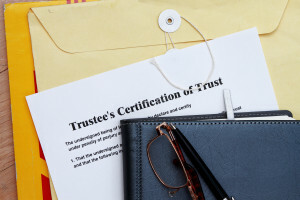 A Primer on Irrevocable Trusts - Lewis Kannegieter Law, Ltd. Many individuals are aware that a Will is one way to plan for the distribution of their assets after death. However, a comprehensive estate plan also considers other objectives such as asset protection. For this reason, it is essential to consider utilizing an Irrevocable Trust. This estate planning tool becomes effective during a person’s lifetime, but it cannot be amended or modified. The person making the trust, the grantor, transfers property into the trust permanently. In so doing, the grantor no longer owns property, and a designated trustee owns and manages the assets for the benefit of the beneficiaries. In short, Irrevocable Trust provide a number of advantages. First, the property is not subject to estate taxes because the grantor no longer owns it. Moreover, unlike a Will, an Irrevocable Trust is not probated in court. Finally, assets are protected from creditors. Bypass Trusts – utilized by married couples to reduce estate taxes when the second spouse dies. In this arrangement, the property of the spouse who dies first is transferred into the trust for the benefit of the surviving spouse. Because he or she does not own it, the property does not become part of this spouse’s estate when he or she dies. Charitable Trusts – created to reduce income and estate taxes through a combination of gifting and charitable donations. For example, charitable remainder trust transfers property into a trust and names a charity as the final beneficiary, but another individual receives income before, for a certain time period. Life Insurance Trusts – proceeds of life insurance are removed from the estate and ownership of the policy is transferred into the trust. While insurance passes outside of the estate, it is factored into the value of the estate for tax purposes, so this vehicle is designed to minimize estate taxes. Spendthrift Trusts – designed to protect those who may not be able to manage finances on their own. A trustee is named to manage and distribute the funds to the beneficiary or directly to creditors, depending on the terms of the trust. Special Needs Trusts – designed to protect the public benefits that many individuals with special needs receive. Since an inheritance could disqualify a beneficiary from Medicaid, for example, this estate planning tool provides money for additional day to day expenses while preserving the government benefits. Irrevocable Trusts are essential estate planning tools that can protect an individual’s assets, minimize taxes and provide for loved ones. In the end, these objectives can be accomplished with the advice and counsel of an experienced estate planning attorney.